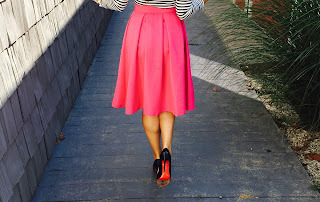 I love this look because it works for both the day time and evening. 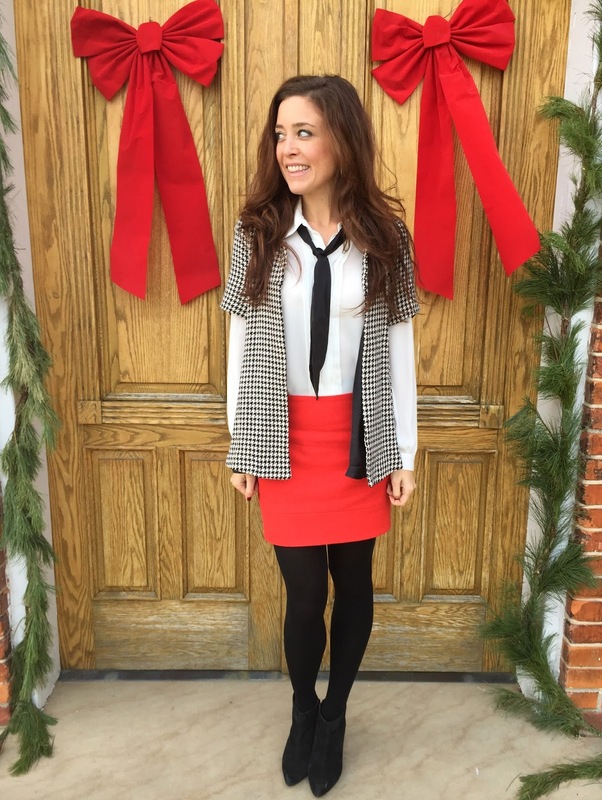 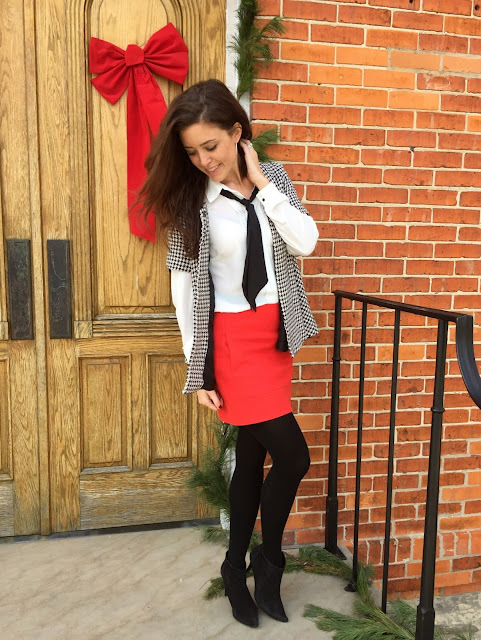 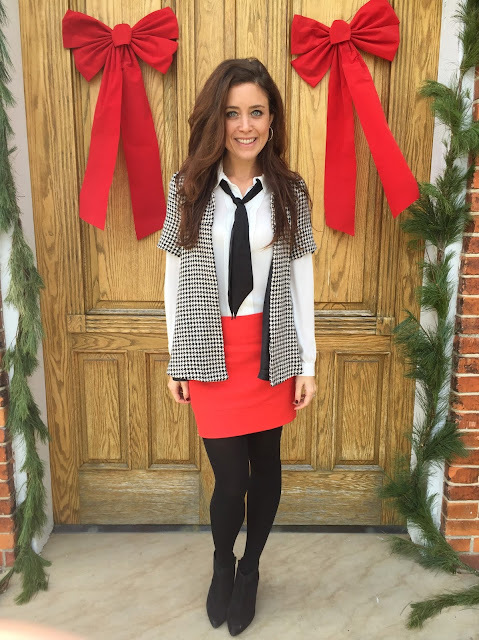 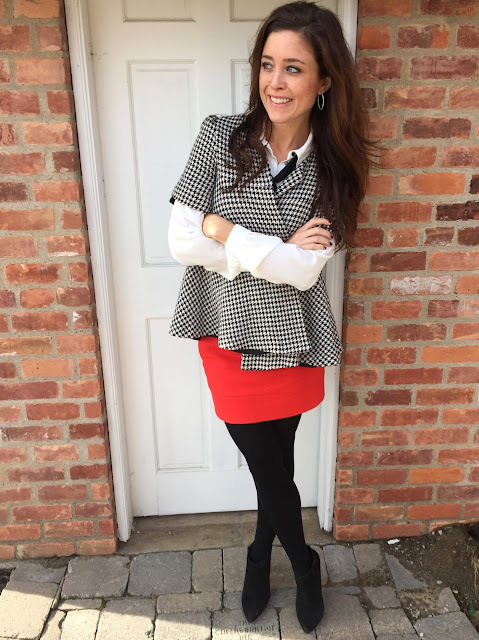 The blouse keeps the look feminine and conservative, the pop of red adds sass and a fun holiday flare. 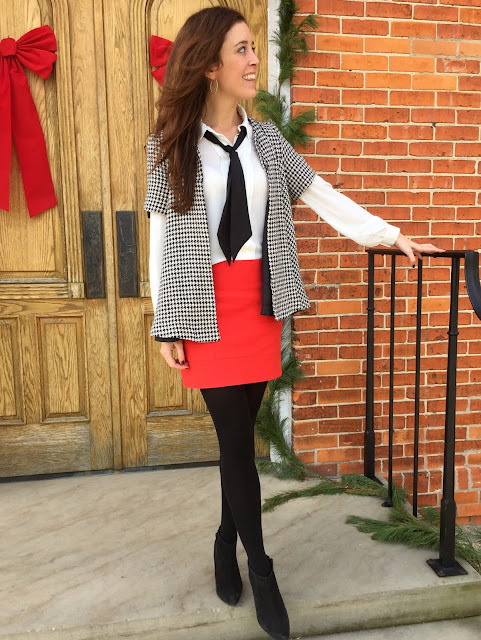 and the houndstooth jacket completes and polishes off the overall look. This outfit would be perfect for when you need a look that will transition from the office to an after work party or date night with your honey.